It’s almost spring, and it’s time to get outside and see what Salt Lake City’s arts scene has to offer. March brings some exciting events to downtown SLC and we’ll share a few to wet your appetite for some cultural feasting. Salt Lake City has a LOT of arts and culture events happening this spring and we culled through the them to present just a few that looked particularly enticing. TODAY: Craft Lake City hosts Salt Lake City’s own, Argentina’s Best Empanadas for an empanada workshop! In this workshop, Ana will teach attendees how to handcraft Argentine-style empanadas in two mouthwatering flavors: savory traditional beef and sweet apple dulce de leche. Materials will be provided for each attendee to make and enjoy one dozen empanadas. Thu, Feb 28 @ 6:30 pm Buy Tickets here. Presented by Utah Museum of Contemporary Art at Utah Museum of Contemporary Art, Salt Lake City. Whoop Dee Doo is a traveling, artist-led project that organizes elaborate site-specific installations and themed live performances as a process for creating meaningful art with communities around the world. Whoop Dee Doo’s multidisciplinary, educational process celebrates each community’s unique skills, experiences and cultural customs. By leading creative collaborations that emphasize shared ownership of art-making with diverse participants, the artists promote meaningful cross-generational and cross-cultural dialogue. 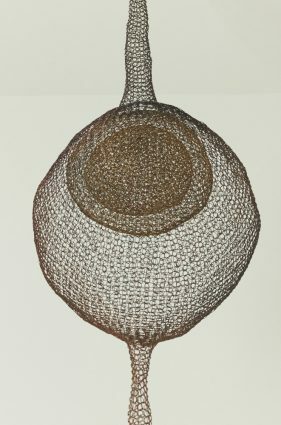 Modern and contemporary art created in the American West, manifesting an independent spirit and embodying unique ideas, has been largely written out of the mainstream narrative of art history or placed in unhelpful contexts. Collecting on the Edge, featuring work by 172 artists from the collection of the Nora Eccles Harrison Museum of Art at Utah State University in Logan Utah, aims to correct that situation. Texts accompanying each artwork, by eighty-one critics, art historians, curators, gallerists, artists, and collectors, provide illuminating insights into the works and their creators. In an introductory essay art critic Michael Duncan exposes the provincialism and regionalist thinking that has dictated mainstream views of modernism: “Many of the nation’s most daring, innovative, and iconoclastic works have been ignored…simply because they were made on the wrong side of the Mississippi.” This extensive catalogue also includes a substantial interview with visionary collector George Wanlass, who amassed these works over a thirty-year period, providing a rare glimpse of his philosophy and practice. An inclusive rewriting of the traditional narrative, with new perspectives on artists both familiar and unfamiliar, Collecting on the Edge is a must-have resource featuring material unavailable online or through any other publication. Red Butte Garden’s is one of Salt Lake City’s quiet treasures. With acres of blooms from spring to fall, this March the spectacular sping blooms start popping on March 15th. 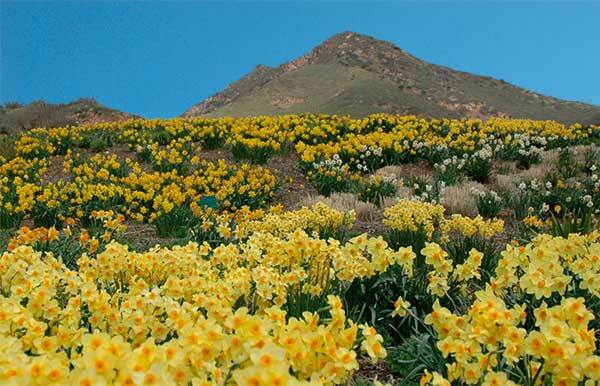 One of the great botanical gardens in the West and a marvelous Daffodil Display each spring is found at Red Butte Garden during the spring months of mid-March, April, and early May. Different bulb varieties peak at different times – so visit the Garden often this spring to see what’s blooming. After you check out the blooms at Red Butte, head downtown for Salt Lake’s Gallery Stroll. The Salt Lake Gallery Stroll was founded in 1983 as just a small group of local galleries, and has now grown to include the majority of fine art galleries in the area. Every third Friday galleries keep their doors open late for the public to enjoy their current collections. They often provide live music, refreshments, or artist lectures as well. The Gallery Stroll officially starts at 6:00 p.m. and goes until 9:00 p.m. It’s a free self-guided tour. There are a few areas with concentrated galleries that are easy to walk between. Other galleries require a bit of driving. You can pick up a map of all the galleries at a participating gallery. It’s a great night to catch new artists, art and see what Salt Lake City’s art scene has to offer. UPCOMING DATES: The exhibition will run from March 22 – June 14. with an artist reception on April 19 from 6 – 9 pm, with a special performance by artist Gregg Deal at 7 pm. This exhibition, featuring the work of more than 30 Utah artists, examines the legacy and impact of the Transcontinental Railroad. Working in a variety of arts media, including painting, sculpture, photography, printmaking, installation, performance and video, artists explore subjects ranging from transportation, innovation, immigrant and labor issues, impact on Indigenous communities, environmental issues, globalization, and historical figures and stories. Artists Include: Christine Baczek, Ken Baxter, Ryan Bench, Joseph Bennion, Erin Berrett, Linnie Brown, Royden Card, Russell Case, John Clark, Caitlin Connolly, Nicholas Courdy, Russel Daniels, Gregg Deal, Cara Despain, Stefanie Dykes, Edward Fraughton, Karen Horne, Anthony Ithurralde, David Koch, Lenka Konopasek, Jeronimo Lozano, Alison Neville, Rios Alex Pacheco, Cassandria Parsons, Nick Pedersen, Zachary Proctor, Chris Purdie, Denae Shanidiin, Amie Tullius, John Vehar, Mary Wells, Simon Winegar, Richard Wong, Xi Zhang.